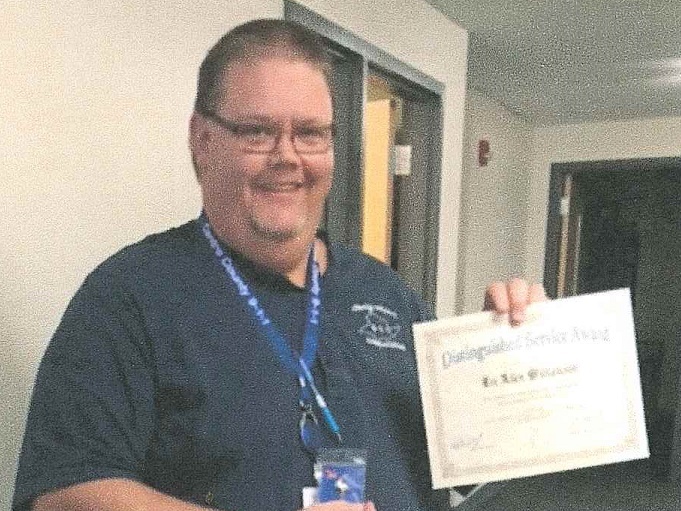 On September 8, 2017 at 2PM, Lee Williamson (Centre County 911 Dispatcher) was recognized for his outstanding service as a public safety telecommunicator during a child birth event on August 6, 2017. Lee is a veteran member of the stork club, this being his second child birth event in his 12 years as a dispatcher. The mom and baby are doing very well. 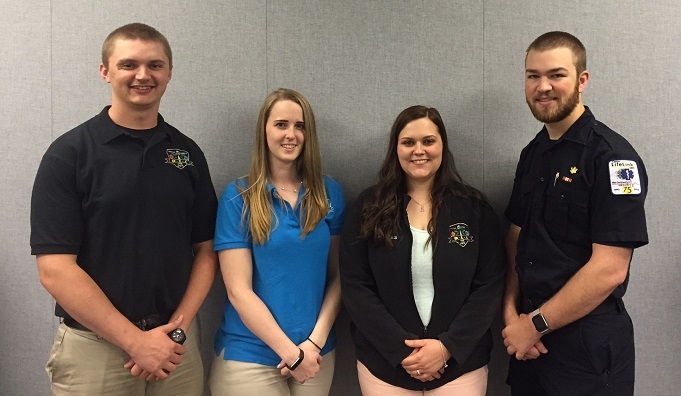 These Centre County 9-1-1 Employees graduated from a week long Crisis Intervention Team (CIT) training on June 23, 2017. The 40-hour comprehensive CIT training emphasizes mental health-related topics, crisis resolution skills and de-escalation training, and access to community-based services. The format of the training consists of lectures, on-site visitation and exposure to several mental health facilities, intensive interactions with individuals with a mental illness, and scenario-based de-escalation skill training. From the left Trevor Harris, Kyley Burd, Paige Redman, and Kyle Schmoeller. 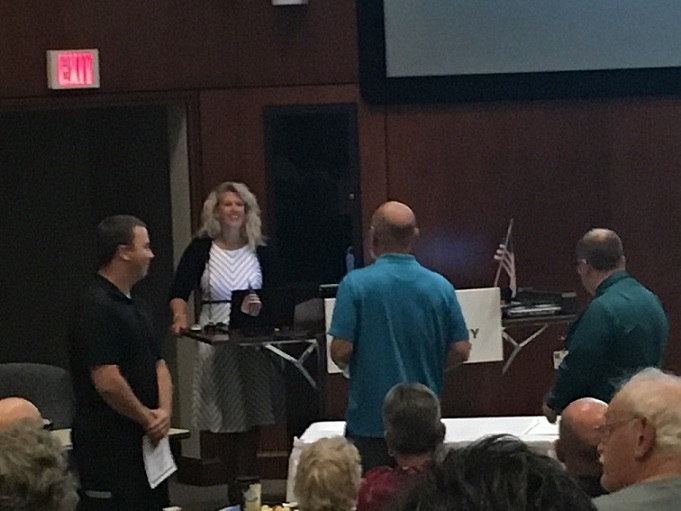 On the 14th of September 2016, Public Saftey Telecommunicator (left) was recognized by Mount Nittany Medical Center by the Centre County Chapter of the Sudden Cardiac Arrest Group for his quick action that contributed to saving a life.